The city of Jerusalem divided into 3 parts, likewise the world by 3 powerful forces. RichieAllen.co.uk Forum > On Topic > Middle East > The city of Jerusalem divided into 3 parts, likewise the world by 3 powerful forces. The city of Jerusalem is divided into 3 sectors. The Jewish,The Christian (mostly orthodox) and Islamic. This is a sign of our time, also known as the end times. The book of Revelation is a book of prophecy for example the seven churches mentioned in Rev Ch 2 and 3, are seven distinct time periods,culminating in the present day. The last Church the Laodiceans ( is our current time period) is a church run by consent ( a PC Church in other words). Revelation CH 16:19 And the great city was divided into three parts, and the cities of the nations fell: and great Babylon (the current monetary system) came in remembrance before God, to give unto her (the symbolic woman of later chapters) the cup of the wine of the fierceness of his wrath. In our time there are three powerful institutions in control of the earth. These are also mentioned in scripture. Rev CH 16:13 And I saw three unclean spirits like frogs come out of the mouth of the dragon, and out of the mouth of the beast, and out of the mouth of the false prophet. Rev CH 16:14 For they are the spirits of devils, working miracles, which go forth unto the kings of the earth (Middle East area) and of the whole world (other nations), to gather them to the battle of that great day of God Almighty. This all sounds a bit cryptic unless you can make sense of it. The clue is found in the three sectors in Jerusalem. The false prophet is Islam. With the teaching if you leave Islam you can be put to death. Likewise if you convert a Muslim to another religion, you and that person can be put to death. The Beast (mark of the beast etc) is identified as the Catholic system.This system has a similar teaching but this time the persons in question go to hell, if they leave it or encourage another to do so. The Dragon is Zionism,with it's offshoots of influence. Communism,Environmentalism,Feminism and Atheism (which also is a religion by the way), and spiritualism (white witchcraft) including natural medicines etc. The Greek word for witchcraft is Pharmakia which is where the word Pharmacy comes from. This institution like many of the others mentioned under the Dragon label are enormous money making concerns. After reading all this you might say where's the hope in all this? Rev 21:1 And I saw a new heaven and a new earth: for the first heaven and the first earth were passed away (current system); and there was no more sea (sea is a symbolic term for turmoil). Rev 21:2 And I John (in a vision) saw the holy city, new Jerusalem, coming down from God out of heaven, prepared as a bride adorned for her husband. Jesus is the husband and his church is the bride. You may say it depends on the translation and the interpretation. There's an example in the garden of Eden. Gen 3:5 For God doth know that in the day ye eat thereof, then your eyes shall be opened, and ye shall be as gods, knowing good and evil. This is another interpretation which they believed and put to action, they began the death process. Adam died aged 960 years of age but from the day he was cast out of the garden he began to die. If a day is a thousand years he didn't see the day out. I am not sure if many of you are aware of this prophecies and it's up to you if you believe them. I struggle to see where the credible evidence is for the existence of Jesus and his association with Jerusalem . No archaeological evidence, no written evidence, nothing. So it is with Solomon, Moses, David, Abraham, Samson and countless other biblical ‘stars’. All we have are the Levite texts and the Gospel stories in their various versions. So desperate did the religious manipulators become to cross reference ‘Jesus’ that they inserted an obvious addition into the works of the ‘Jewish’ historian, Josephus, to support the unsupportable. More than 40 writers are known to have chronicled the events of these lands during the alleged time of Jesus, but they don’t mention him! A man who did all the things that he was supposed to have done and no-one records it? Philo lived throughout the supposed life of Jesus and wrote a history of the Judeans which covered the whole of this period. He even lived in or near Jerusalem when Jesus was said to have been born and Herod was supposed to have killed the children, yet he doesn’t record any of this. He was there when Jesus is said to have made his triumphant arrival in Jerusalem and when he was crucified and rose from the dead on the third day. What does Philo say about these fantastic events? Nothing. None of this is mentioned in any Roman record or in the contemporary accounts of the writers of Greece and Alexandria who were familiar with what happened there. Why? Perhaps it a was a symbolic, coded story to pass on esoteric and astrological knowledge of many kinds and, most crucially, to create another prison-religion based on the symbols of the Babylonian Brotherhood. It's an iteresting take on history, to write out of it the existance of significant figures. Especially in the year of our Lord 2018 AD. Are you saying that there wasn't a temple built by Solomon in Jerusalem. 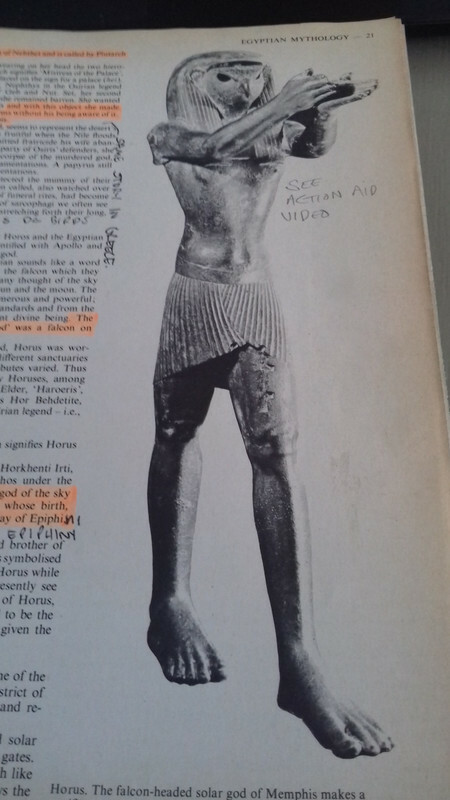 Or that there is no record of the Hebrew people in Eygpt. Also to liken Jesus existance to legend similar to that of the Robin hood story. Just like today some people believe in Jesus and write about him. Others don't and dismiss him, nothing has changed. The passages I have written about here are from the Revelation of Jesus the Christ written around 90 AD. If nothing I have written here is happening around us today, then I suppose it can be dismissed once again. It is up to all of us to judge in our own minds. What convinced me personally was when I was baptized by emersion at the age of 32. Then I received the Holy Spirit and spoke in other tongues and my life was changed. The Bible became a living book no longer a theory book. I have since seen the lame walk and people healed miraculously. The most powerful one to me personally was my son when he was 3 years old, cracked his skull open. He was bleeding to death and we layed hands on him and prayed in tongues and instantly the blood stopped. He would have died that night but thanks to Jesus spirit he is 28 years old today. He prays for his own children and also witnesses miricles in there lives. There is no documented evidence of these events but there is medical proof of other miricles I have witnessed. It is a bit like a $100 bill blowing into my back yard. When I grab it and I tell my work mate I have found it and he dismisses it by saying how do I know that happened. How do I know you didn't get it from an ATM, but I know I found it. The stories I have posted are for people to decide I guess. It’s very interesting what you say about your son when he was just 3 years old, and that the power of prayer saved him. I have a friend who told me of a similar experience with his own son when he was quite young. He also cracked his head after falling onto a hard stone floor from a height. In his case he swears that a beam of light came out of a large crystal, and it was this that saved him! I’m sure that there is a force/being/intelligence out there that we do not quite understand which accounts for the miracles we experience. However, in the case of religion it’s all too easy for some individuals to manipulate others through fear and guilt. I tend to think of virtually all religions as being man-made which is where I guess we disagree. Perhaps our common ground Steve is we both believe in a higher power. My understanding would be from your friends account of the miricle he witnessed. That the power came from elsewhere not from the crystal. The power I speak of is a Spiritual one. The Jesus I am acquainted with is not the Jesus of religion. He is that creator or life force in the form of a man. Who has the power over life and death. I witnessed my sons healing but the others there that night did also. If I can share another story of a friend . When he was a younger man he was looking after his baby daughter, who was crawling around on the lounge suite behind him. He was not paying enough attention to her because she fell off the lounge on to her neck and her body rolled over her and broke her neck and she died. He picked up her lifeless body and literally screamed out to Jesus and prayed in other tongues. After a few minutes she cried out, before she had taken in a breath. Life had returned to her. This story doesn't end there. When she was about 12 she complained about the pain she was having in her neck. They went to the doctor for X rays which showed the bones in her neck were literally smashed. The doctors advice was that she needed major surgery with 50 50 chance of success. Before she was due to go to hospital the Church prayed and fasted. The morning of the operation they X rayed her again and the neck was totally healed. I have seen both of the X rays, with her name Nadia printed on them. The doctors had no explanation. The miricles I have witnessed are not all of children by the way. You are correct in your assumption that religion's are man made and are often about subduing people. Jesus came to set the captive free to give sight to the blind to heal the broken hearted. He will return to heal the earth also. Jerusalem was a Jebusite stronghold captured by King David, a city at that time called Jebus. The city was named after Jebus who was a descendant of Ham the son of Noah. Jeru is the cities origin. Salem means peace, which is not a word that sits comfortably with the current city. That is why there is a new Jerusalem coming to replace it. As for the you tube clip, most of the nations depicted in it, are contained in the image that the prophet Daniel saw. That vision is the history of that area . The head is Babylon, then Medo Persia, followed by Alexander, after that Rome, ending with Papal Rome. The stone that smashes it all to pieces is the stone kingdom. That kingdom is the stone the builders rejected that becomes the corner stone, Jesus. It would be much easier to dismiss Bible prophecy, if there wasn't a nation of Israel (however it was formed) today and if the city wasn't split into three parts. The city in recent history was taken back after the seven times punishment (2500 years) or the time of the Gentiles. In December 1917, by the Hebrew army of the ten tribes that were taken captive by the Assyrians, Britain. Lead by general Allenby, without a shot being fired. The leaflets that were dropped from aircraft, had Allenbys name on them, to the Muslims that held the city, it ment messenger of Allah. So they surrenderd the city. Thus fulfilling more Bible prophecy contained in this verse and by the way in all of the church of England daily readings of that particular day. *[[Isa 31:5]] KJV* As birds flying, so will the LORD of hosts defend Jerusalem; defending also he will deliver it; and passing over he will preserve it. You also need to know whose drum the Historians and Bible scholars are beating, before truly making up your mind. In December 1917, by the Hebrew army of the ten tribes that were taken captive by the Assyrians, Britain. Lead by general Allenby, without a shot being fired. The leaflets that were dropped from aircraft, had Allenbys name on them, to the Muslims that held the city, it ment messenger of Allah. So they surrenderd the city. Thus fulfilling more Bible prophecy contained in this verse and by the way in all of the church of England daily readings of that particular day. *[[Isa 31:5]] KJV* As birds flying, so will the LORD of hosts defend Jerusalem; defending also he will deliver it; and passing over he will preserve it. Jeru actually means Peaceful Place. Salem is a city in South India, in Tamil Nadu, famous for its textile industries. Population is 693 236 (2001), it is not the place amongst the stones and the place we know as Jerusalem today and is where the idea of what is known as Christianity actually sprang out from. The parable that is as birds fly is talking about the Sun in the sky which rises over it on the 21 June thus preserving the crops to which libations were given every year in the celebrations and what is known as the equinox in September. In this video the actors/singers are doing the same libations as the Egyptians did to the same sun. You confused christians really need to look further afield than the biblical fog that mists up the minds eye and closes off all of reality when you close your said book for the day. Thanks for clearing that up Apprentice. All the billions of people now and through out history, should have been paying attention to some city in southern India. I'm sorry I forgot your the only expert on these matters.